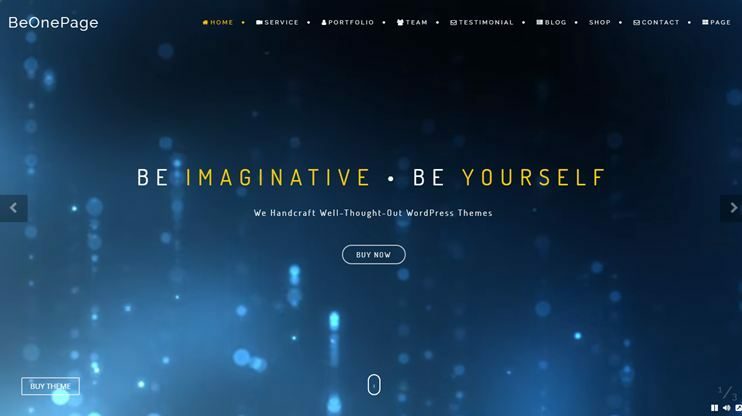 This article is a collection of some of the best and free One Page WordPress themes that you can use to create stunning websites in 2019. This list contains some handpicked, feature-rich and easy to use themes to create your website. 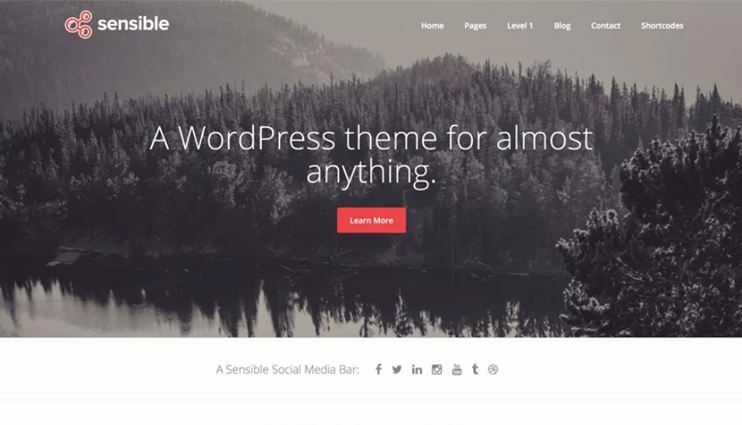 If you are a WordPress newbie and want to try creating a website, then these themes can be a great help. With these themes, you can learn the basic WordPress features and options. 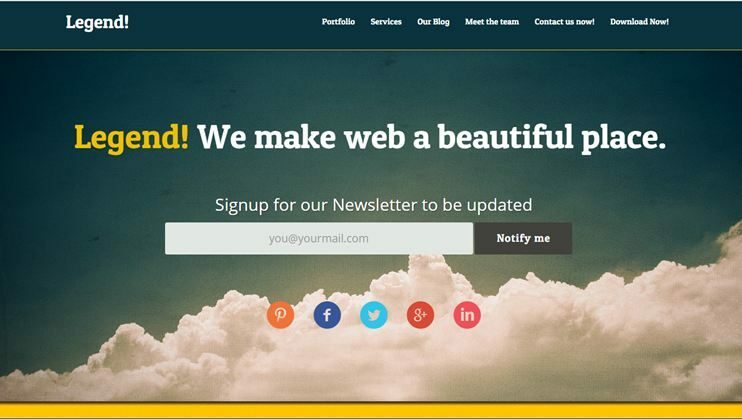 These themes are perfect if you want to create a very simple website that takes your company’s name on the internet. The theme have enough features to let you display basic company details, introduce team, contact form design, etc. If all you need is a basic introductory website that you don’t need to spend on the theme. Get a free theme and create a website in hours (If not minutes!). What I really love about these themes is that most of these themes are the lite versions. There are pro versions available for the same. So, you can try the free themes for yourself. If they succeed to impress, you can opt for the pro versions of the theme to create a highly professional and pro-featured website. These themes are either multipurpose or designed for some special purpose. The special purpose themes include business theme, law agency themes, app landing page theme, and much more. So, you’ll most probably find a theme of your interest in this list. Looking for a simple yet elegant template for your business website or online portfolio? Note : No technical skill is required to use this theme. 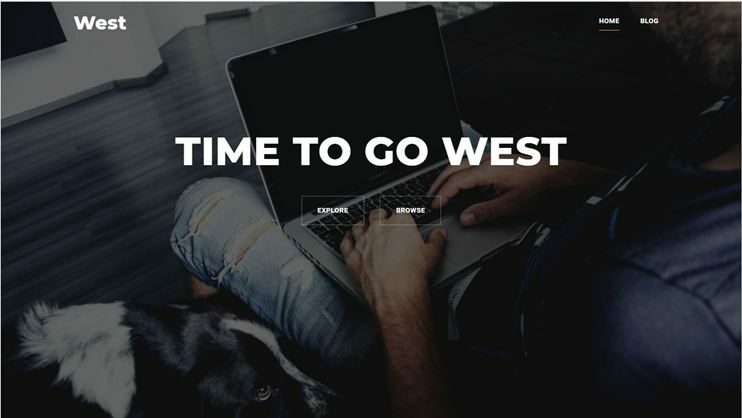 West is a free One page template for creating a business website in 2018. The theme lets you create a corporate and professional website with very easy and flexible options. This free theme lets you use the Live composer to create pages of your choice. You can use the Live customizer to see the real time changes you make to your website. 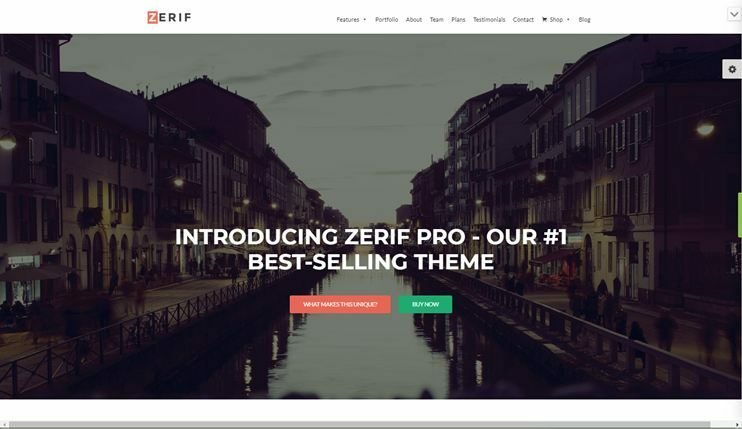 Zerif is a smart WordPress theme that you can use for free. You can use this theme to create a website for creative agencies. It can also be used for professional business websites. The theme comes with a clean and validated code. It comes with pre designed important sections like team, contact form, etc. So, you can append features by including some new code modules. It is easy and convenient and if you should ever need, you can have a paid theme upgrade to pro version for additional features. One page WordPress theme is free business WordPress theme. It is flexible and easy to use. This theme lets you create efficient website with all the free features it provides. The theme has a clean code. So you can tweak it and add features to it. There are enough theme options to let you manage your website. 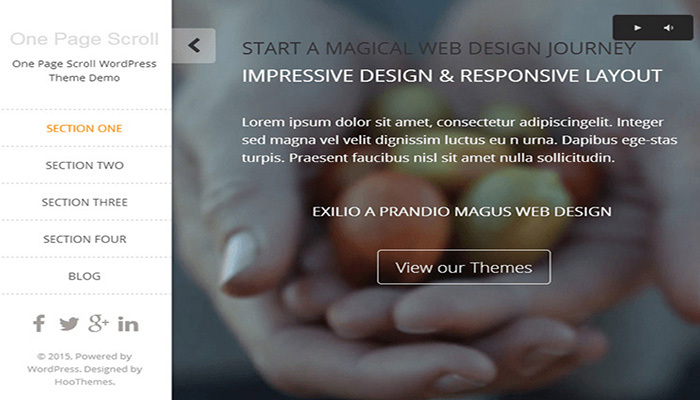 The theme lets you create beautiful websites using the parallax sections. It lets you set unlimited colors to your website. The theme has sections to display your business details effortlessly. 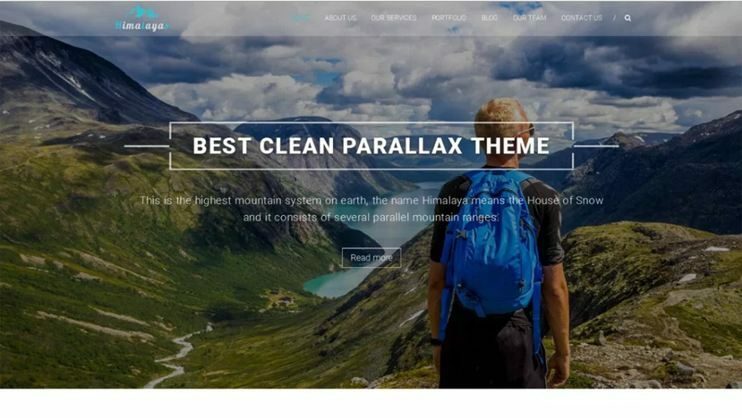 The theme lets you create beautiful websites using the parallax sections. It lets you set unlimited colors to your website. The theme has sections to display your business details effortlessly. 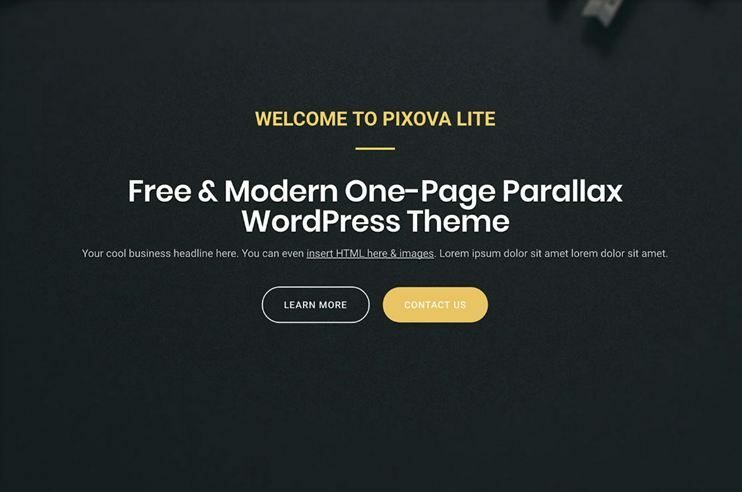 Pixova Lite is a free one page parallax WordPress theme. This theme has an elegant and modern design. The theme comes with a design containing various ready to use sections. And all of theme have load animations to make your free website look interactive. However, if you need SEO, google font integration, WooCommerce, etc. you need to buy the pro version of the theme. Llorix is a free business WordPress theme. It is simple yet elegant. The theme comes with an easily editable ribbon section to display some latest news, update or alert on your website. It has a valid and clean code. So, if you happen to be a coding expert, you can add features to this theme and use it for your purpose. The theme has an SEO base, and beautiful parallax scrolling sections. 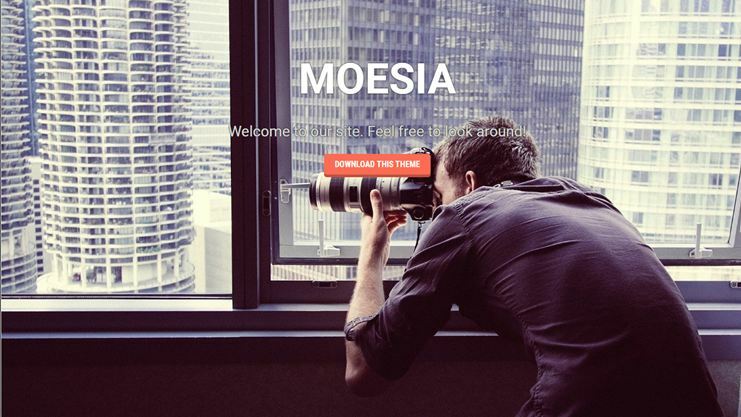 Moesia provides you with many features for your business or corporate website. It has a parallax header. It comes with a readjustable homepage blocks to create the homepage of your desire. Moreover, it allows social sharings, google fonts and parallax backgrounds. There is also a live customizer to let you customize your website. 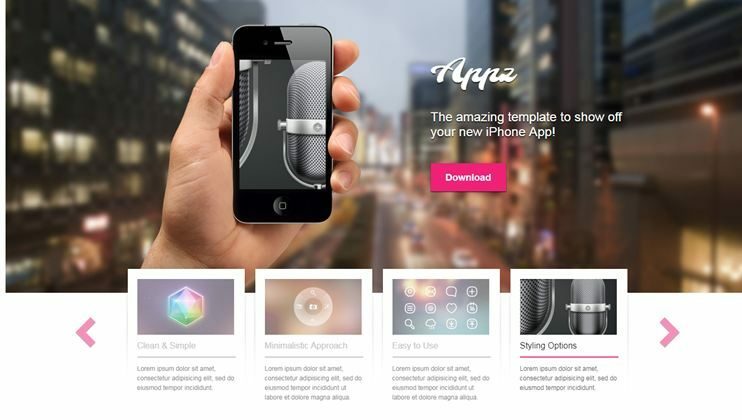 Appz is a free OnePage WordPress theme for promoting your app. You can use this theme to create a website that promotes your iphone app. Appz has a clean and modern design. With the customization options you can change the styling of your website. The slider lets you show latest and important stories using the slider. The theme has a very flexible homepage. For further customizations, you can use the included design files. 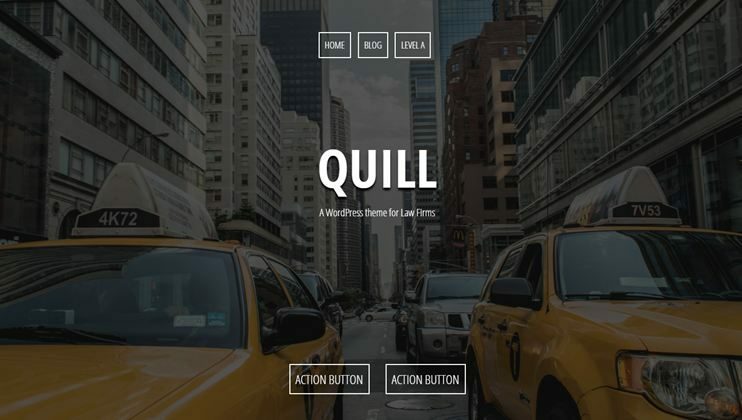 Quill is a theme that is focused to create a website for law firms. With this free WordPress Onepage theme, you can create a professional website for your law agency. This theme is highly customizable and comes with a live customizer to make the theme look how you want. It is designed to let you showcase your clients, team and latest cases. The theme is social sharing ready and allows to create parallax backgrounds. You can use the google fonts for changing typography. Onesie is a multi purpose theme. 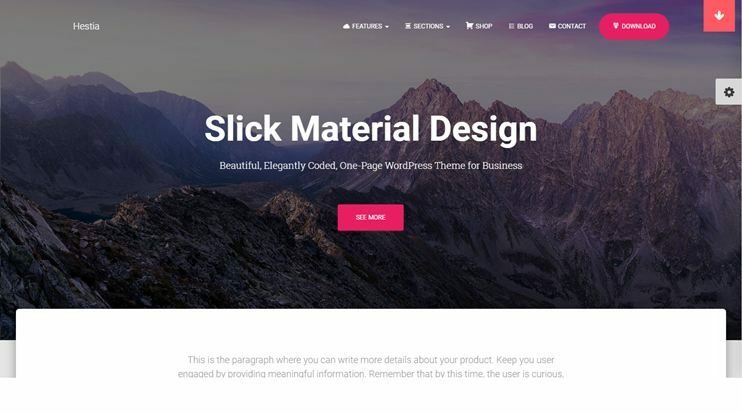 You can use this theme for creating landing pages, portfolios, business or events website. The theme is beautifully responsive. This theme is highly and easily customizable. You can create unlimited galleries. It is a fully widgetized theme. So, you can manage the content on the homepage very easily. It allows you to set custom backgrounds. 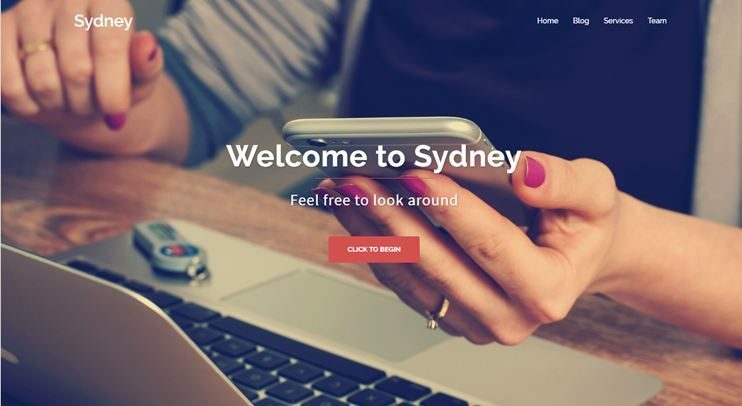 Sydney is a business WordPress theme. You can use this theme to create a website for your companies and freelancers or personal online portfolios in 2018. It is highly customizable. This theme allows you to create a website that is relevant for your online presence. The theme options allows you to manage the website. You can use the live customizer to make your website look the way you want. Himalayas is a one page WordPress theme that you can download for free. It has a modern design with beautiful parallax backgrounds. You can use the theme to create business website, online portfolios, a corporate business website. This theme also allows to create website for photographers and freelancers. It is a very basic theme to create a very simple website. 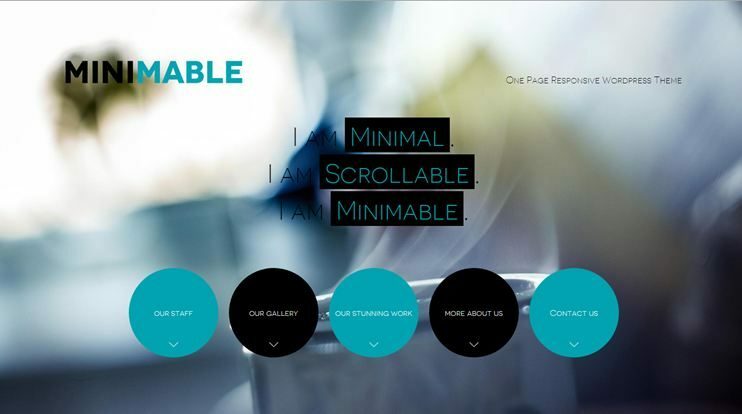 Minimable is a smart and responsive free one page WordPress theme. You can set any desired color for your website. It supports Video background. You can also create amazing blogs in your website. The theme is built on the bootstrap framework. 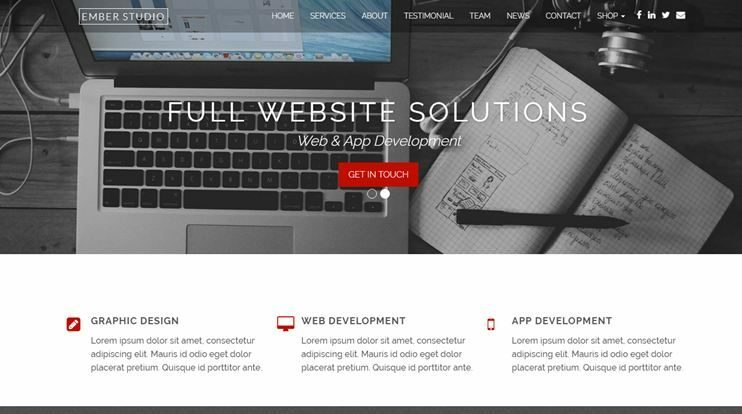 With this theme you can create a website with smooth scrolling effect and retina ready graphics. Aww is a free One page WordPress theme. It is responsive and easy to use and setup. 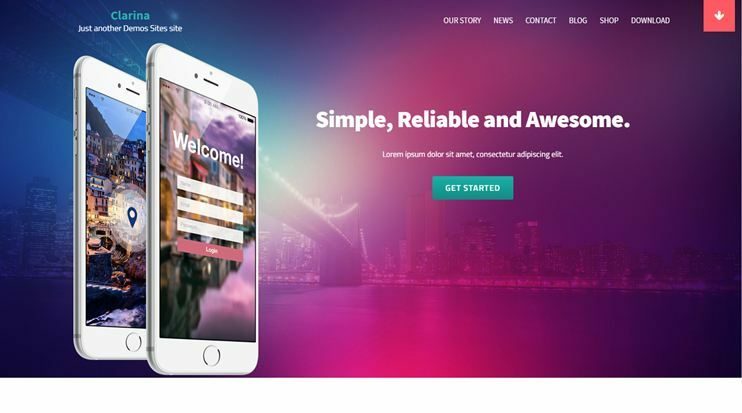 You can create amazing sliders and create a beautiful website using this theme. Aww comes with easy theme options to manage the website. You can also create amazing blogs using this theme. It comes with social network icons included for social sharing. The theme is SEO friendly. The theme has clean code. So, you can extend the theme functionality by appending or tweaking the code. 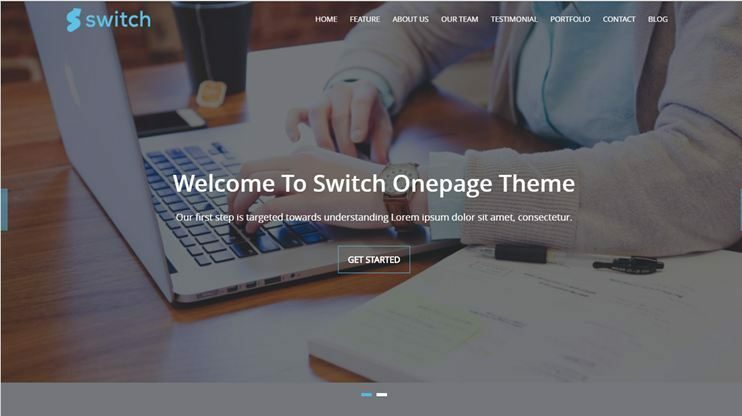 Switch is a free one page WordPress theme. It has a modern and amazing design. The theme has an organized structure to let you create amazing business and corporate websites. You can use the redux options framework to manage the theme. The theme is SEO optimized. It is lightweight and performs fast. Switch is highly customizable. So, you can create professional website. Cuda is a one page WordPress theme that is available for free download. You can choose the static or the dynamic slider. The theme allows you to manage the website using the Redux framework options. You can select and set your desired color to the website. You can create amazing portfolios and images to your website. You can use this theme to create an amazing website for your business. 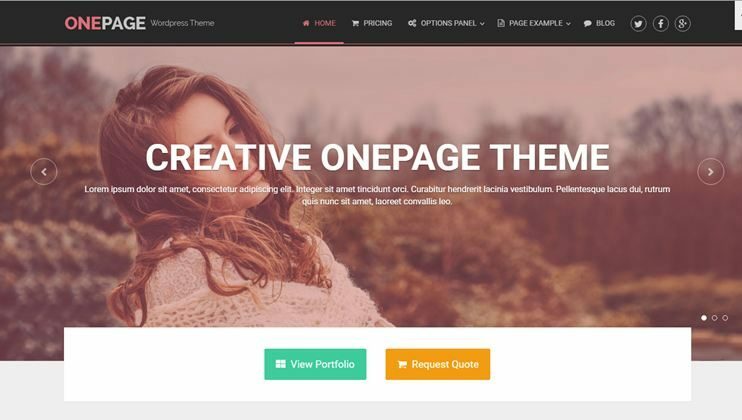 BeOnePage Lite is an easy to use WordPress one page theme. You can use this theme to create a website for almost any subject. The theme is easy to customize. 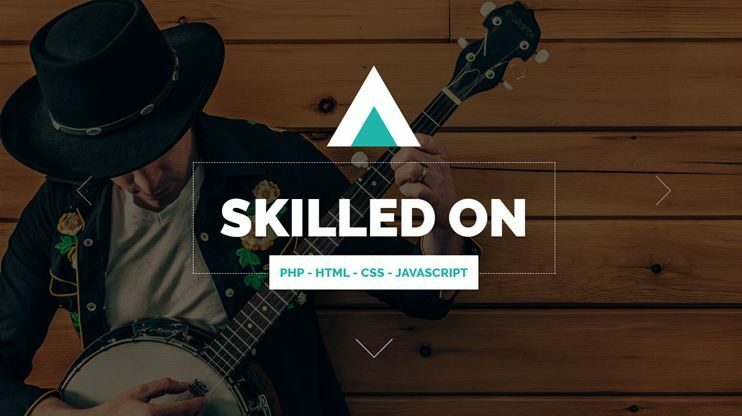 You can create beautiful and amazing ajax portfolios on your website. It has a stunning design. You can create feature rich and elegant website using this theme. 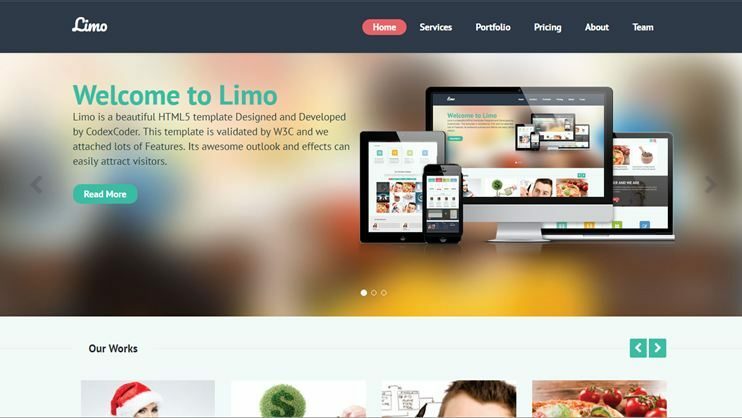 Limo is a free WordPress theme. It has a clean and professional design. Limo lets you create beautiful and smooth scrolling website. It has the lazy loader system for theme elements load. You can use the font awesome icons to make your website more intuitive. You can also create amazing portfolio galleries. This theme has an effective option panel to let you manage your website. 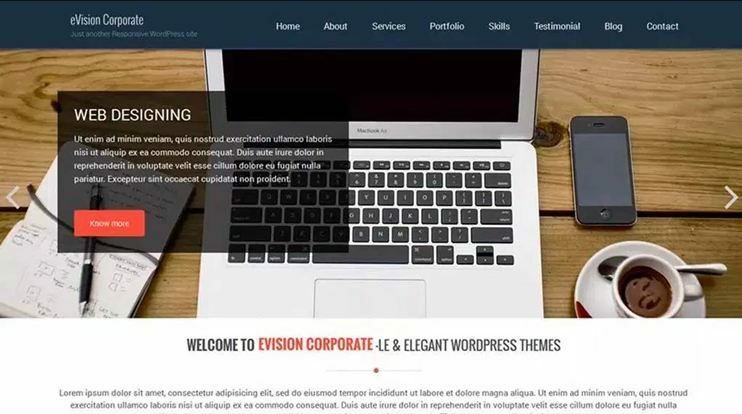 eVision Corporate is a feature rich and attractive theme. You can use this theme to create corporate or professional business website. 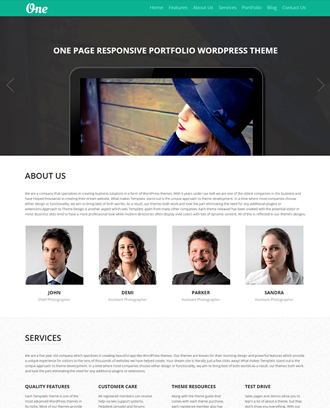 This theme has sections for services, testimonials, portfolios for your website. You can use the google fonts and and font awesome icons. It is a feature rich and flexible theme. A complete multipurpose theme that lets you create a basic website effortlessly. 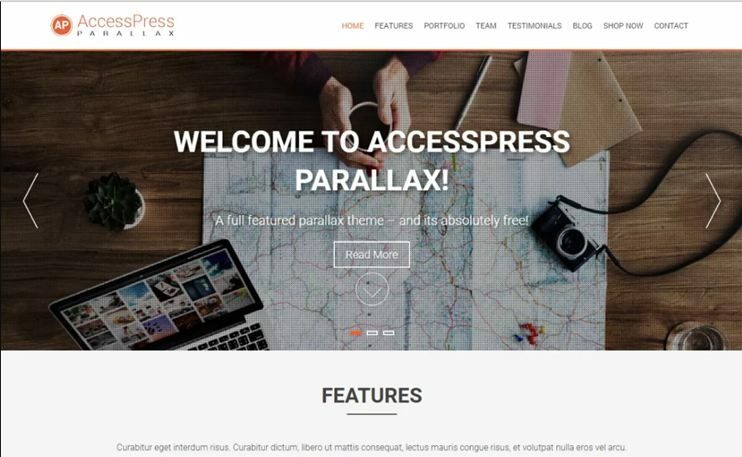 AccessPress is a beautiful WordPress theme with parallax backgrounds. It is free but feature rich and flexible. The amazing parallax backgrounds, team/portfolio sections. You can also create beautiful blogs on your website. It is highly customizable theme. With the theme options you can easily manage how the website functions. It has a clean code, so you can extend it to add features to your website. With this theme you can create a website of almost any subject. It comes with a pre designed contact form. Agency is clean and modern One page theme for creating website for your small business and agency. It is easy to use and comes with some basic options. The theme has a stylish design with smooth page scrolling. You can create portfolios and use the font awesome icons. It also has a dedicated section for showing team members. It allows advanced customizations by tweaking the code. Legend is a multipurpose one page WordPress theme. With this theme you can create landing page website, online portfolios, creative and business websites. It is elegantly responsive. This theme comes with a few theme options to let you manage the website. 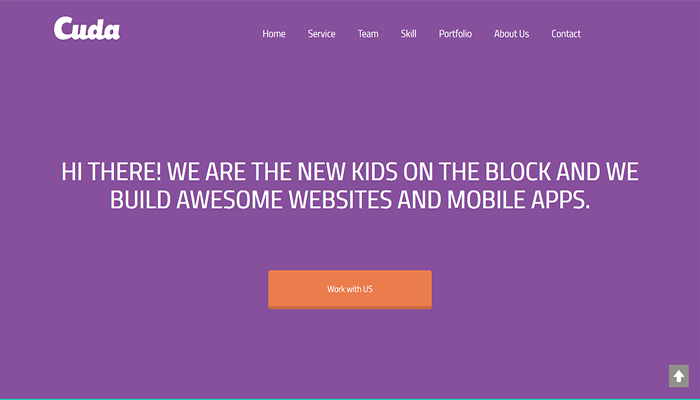 So, if you want to create a website for your startup business, you can use this theme. You can also create a website to create your online portfolio that describes you, your work and your skills. One page Scroll is a free and beautiful theme built on Twitter bootstrap. This theme lets you create a website of almost any subject, effortlessly. To make your website more intuitive, you can integrate the font awesome icons. For the theme options, it uses the Options framework plugin. It is a rather flexible theme that allows you to create a website of your choice. You can customize and personalize your website. It supports beautiful parallax background sections and photo album facilities. Sensible WP is a multi-purpose WordPress theme. It is easy to use and flexible and has attractive features. It has a clean and modern design to create simple yet effective website. You can use the live customizer to customize the website. You can use this theme to create website for creating online presence of your business. It can be used to create website for your creative agency. 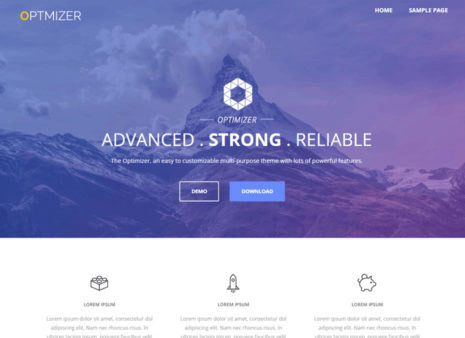 Optimizer is a clean and elegant multipurpose WordPress theme. It is easy to use and very flexible. Without touching a line of code, you can set up your entire website. You can customize the theme with the live customizer. The website can be managed with the powerful theme options. It is compatible with bbPress, WooCommerce, MailChimp and Contact form 7. It is SEO friendly theme. So, optimizer can be used landing pages, business and corporate websites. 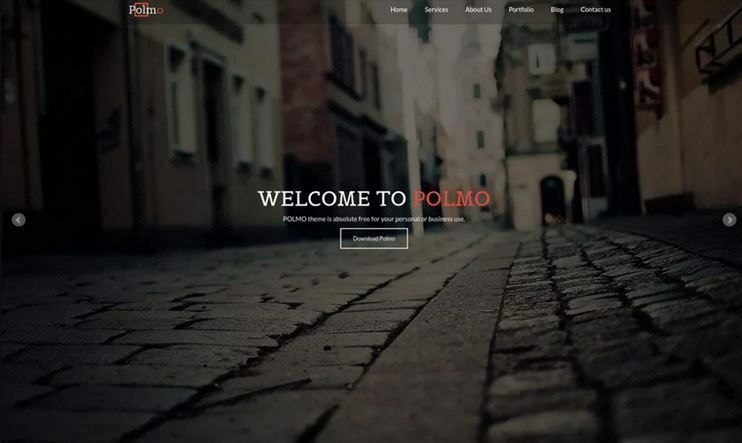 Polmo lite is a one page multipurpose website. It is an efficient theme and it is multipurpose. The theme is easy to use and flexible. The theme also has a paid version. It is SEO friendly theme. There are many options to customize the theme. You can use this theme for almost anything. 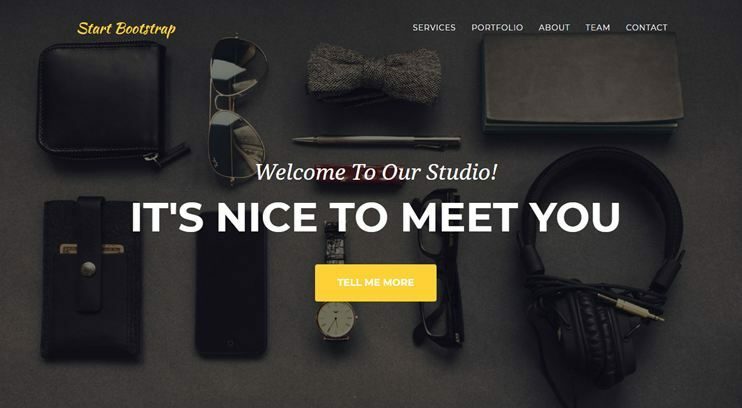 You can use this theme to create a website for creative agency, business or portfolio website, and freelancer's website. 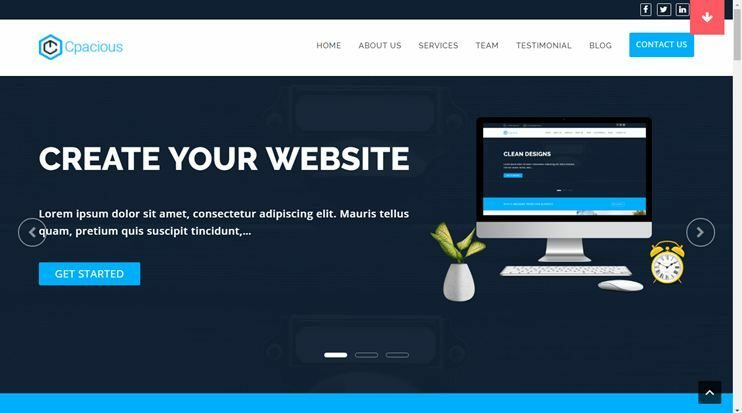 Hestia is a free One-page template for creating a business website in 2018. The theme lets you create a corporate and professional website with very easy and flexible options. You can use the WooCommerce plugin for easy setup and a breezy shopping experience. This One-page theme is fast and SEO optimized. With the easy options, your one-page website can be easily set up in a minute. The theme has elegant and cool features. For eCommerce features on your website, you can use the WooCommerce plugin. Clarina is a FREE and Elegant one page WordPress theme with a flat and clean bootstrap based design. It is designed with elegant parallax effects to let you create amazing pages. 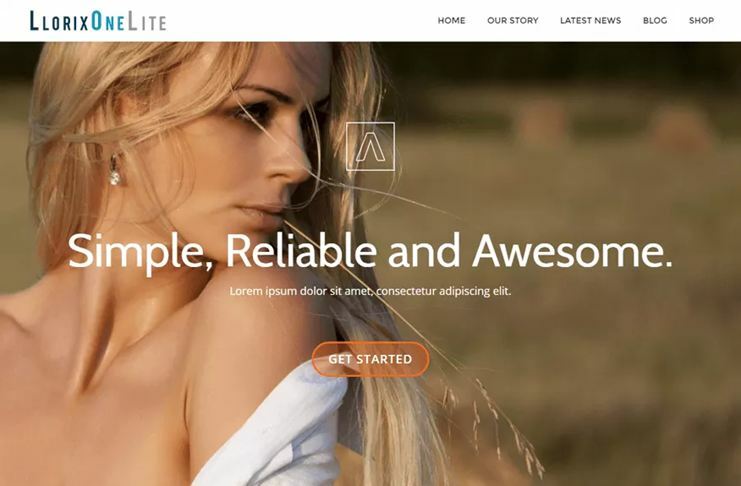 With amazing customization features and clean code quality, you can customize this WordPress theme as much as you want. 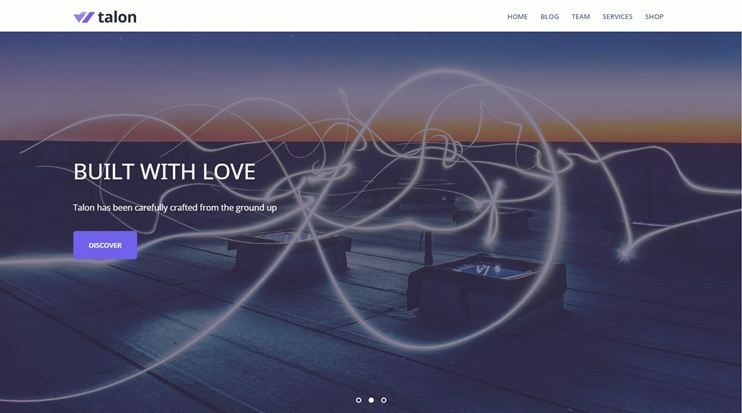 The one-page website created with Clarina with great parallax and animation effects. If you are thinking of creating an online store the theme is compatible with the WooCommerce plugin. Capacious One Page Free WordPress theme can be used for corporate, business, educational purpose. 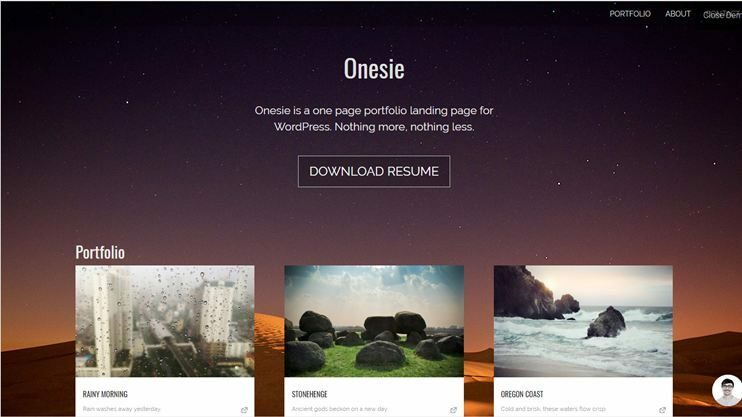 Moreover, you can even use this WordPress theme for one page portfolios as well as blogs. Capacious is compatible with WooCommerce plugin and therefore can be used to create an online store. This One page WordPress theme is 100% responsive and comes with beautiful animations. Talon is a One Page WordPress theme for freelancers and corporate businesses. It is a highly customizable theme and comes with excellent features to change the header banner image, icons, and translation features. The Talon one page theme is compatible with the site origin page builder for drag and drop page building. Also, you can use WooCommerce for eCommerce features on your website. 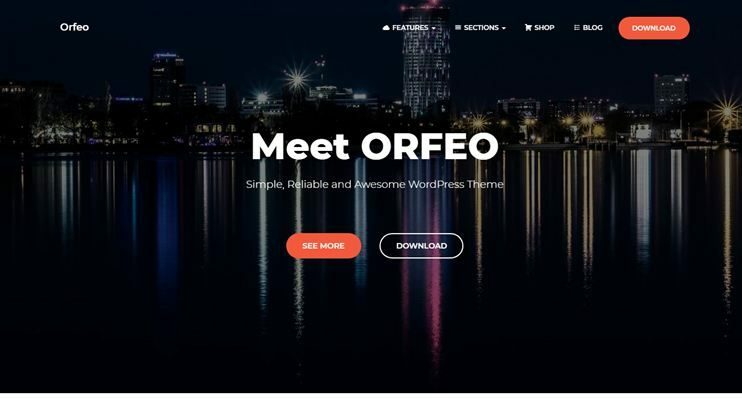 Orfeo is a multipurpose one page WordPress theme. It allows WooCommerce integration to let you create one page online shopping websites. The Orfeo has a clean and neat design. The theme is RTL ready and can be translated in any language you want. It is SEO friendly and comes with many useful features like Megamenu, live customizer, etc. The theme is speed and performance optimized one page theme. Create amazing websites with this One Page WordPress theme is for small businesses and agencies. Ember is responsive and has an attractive parallax design. This one page WordPress theme offers business owners and entrepreneurs a way to build beautiful, professional websites with no hassle. You can integrate WooCommerce if you want to sell online through your website. Ember is SEO friendly and allows compatibility with the best SEO plugins like Yoast SEO. ShopIsle, as the name suggests is a free One Page eCommerce WordPress Theme. 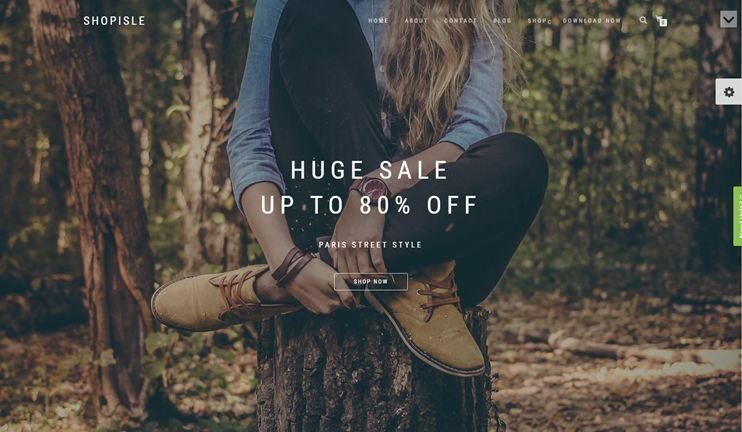 If you want to create a simple WooCommerce based eCommerce shop, have a look at the ShopIsle theme. It is responsive and highly customizable. Moreover, there is a premium version of ShopIsle, that you can use to create your online store. This was a curated list of some of the most amazing free one page WordPress themes for 2018. They are easy to use and designed for noobs. So, with these feature rich themes you can try your hand at website building. For WordPress and programming pros, this gets even better. You get a pre designed website template. You get basic features too. You can then append the code and add features of your choice to make your one pager more prominent. We just hope this list helps you save your time and money and find the best One page theme and create your website effortlessly!! ListingPro Review: Is It Good Or Bad? Blogging for Beginners: How To Start a Blog in WordPress, Promote, Maintain & Sustain It in 2019?